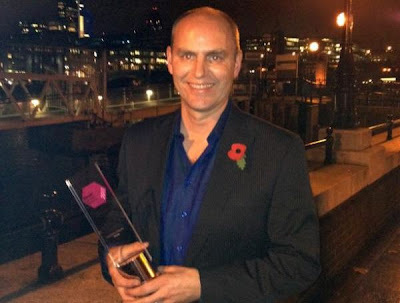 EDGE had an interview with OnLive UK general manager Bruce Grove. Bruce says that around 6:30am on July 2 he awoke to a barrage of phone calls from friends, colleagues and journalists looking for his response to the sale of Gaikai to Sony. His first reaction was to silence his phone as it was early Monday morning. Bruce thinks that this move by Sony does a huge amount for the cloud gaming industry as it has validated it. It's good for OnLive, the market and will help drive the idea further. Since Sony is a consumer devices company, it has the chance of implementing cloud gaming across many different Sony devices. Bruce points out that OnLive wants to do business differently by showing that cloud gaming is a viable technology and creating a new platform, and not just taking the first step along the road. OnLive set out to create a platform, though one could argue what is the right business model. Bruce says that OnLive could end up in many Smart TVs as they become more widespread. As long as OnLive can put their client on a device, the device can stream video and take control input, OnLive works on that device and that basically transforms everything into a game console. Asked if OnLive would change their vision under the circumstance that Microsoft were to make a bid on OnLive, Grove speculates that it's first and foremost up to the company involved, but it kind of defeats the purpose of cloud gaming to limit it to a subset of devices. He says, "The whole point of putting anything into the cloud is to make it available on everything." He continues, "The whole reason I have a Dropbox account is that I want to access my files from any device – it doesn’t matter whether it’s my Samsung phone or my iPad, PC or Mac. That’s the key to the idea of cloud technology." Bruce says that the user growth for OnLive is steady, especially the OnLive PlayPack scheme is proving popular. The OnLive PlayPack is a growing library of over 200 games that subscribers can play as much as they want for $9.99 per month in the US, £6.99 per month in the UK and €9.99 per month in Belgium. Grove also praises the OUYA Android Game Console and they've recently also announced that OnLive will come pre-installed on the OUYA when it launches. He says the OUYA is a cheap and easy to use $99 box that people can connect to their TVs and start gaming right away with a load of games available. The OUYA is going to do pretty well in the market as a low friction device and will attract even a new market of gamers. He thinks that the industry has exploded and now there are far more people out there who are playing games than we might consider to be gamers.